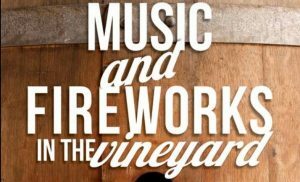 Music starts at 5:00 p.m.
Join us at the winery June 9th for the first concert of our Music and Fireworks in the Vineyard series. Live Music starts at 5:00 pm with Bonus Round going on stage at 6:00 pm. We will have wine tastings, winery tours, and BBQ, followed by fireworks around 9:00. Come early with a blanket or chairs and pick out the perfect spot by the vineyard. Reserved tables are available for $50 (plus admission) that seat eight(includes chairs and tablecloth). We will also have chairs available for rent. BBQ will be available for purchase so you can leave the picnic basket at home! $15 admission per person at the gate (wine tasting, winery tours, and parking included in the cost of admission). 12 & under free. Please leave pets at home. Call the winery with any questions, or to reserve your table (205)672-2053. See you in the Vineyard! Join us in the vineyard this July 4th for a dynamic concert event. Enjoy wine tastings, winery tours, BBQ and spectacular fireworks! Special opening music begins at 5:00 p.m. 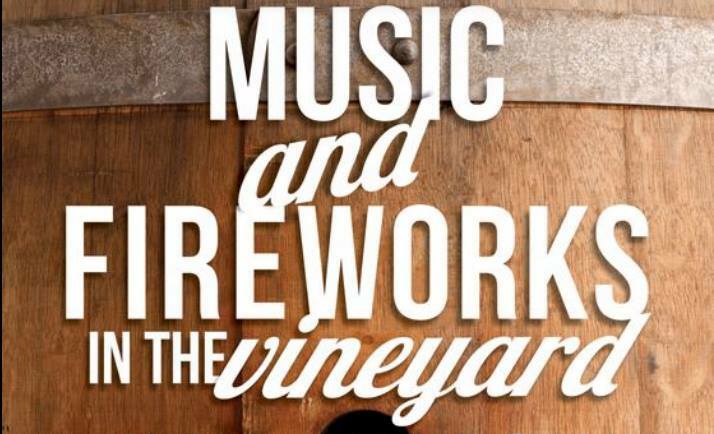 The music starts at 6:00 p.m. and fireworks will wow at 9:30 p.m. Bring a blanket and chairs for the perfect spot in the vineyard. $15 per person at the gate and ages 12 & under free. VIP tables are available for $50 per table and seat up to eight people. Please leave pets at home! Check out more event information on Facebook! Bring the family, shed your shoes and help stomp our grapes at this years Morgan Creek Vineyards Grape Stomp. Create a keepsake using those purple feet on a commemorative poster with your footprints. Enjoy delicious wine tastings, live music and fabulous barbeque. Do you ‘Love Lucy’? We do, too! That’s why the highlight of the day for us is the Lucy-Look-a-Like Contest. Ladies of any age are encouraged to dress up as Lucy and enter our contest for cash prizes. Also, dressing up like Lucy gets you free admission! Red headed or not, be sure to put this event on your calendar! Looking for a unique way to spend a holiday? Join us in the Morgan Creek Tasting Room during special holidays to celebrate in a big way. From seasonal décor to special treats that pair with your tasting, you’re sure to make fun memories at the winery!